The CAPM is nothing more than a theory about how investors will behave when given an opportunity to do so. It theorizes that investors will invest in a stock or asset for as long its return is commensurate to the risk it has. This return and risk is benchmarked against the over-all return and risk of the entire market. If the return is too high against the risk, then an arbitrage situation occurs causing other investors to demand for that stock. This raises the price and consequently brings down the return. This risk-return relationship is vital in any transaction. The allocation of the risks inherent in a transaction determines whether a contract is fair or appropriately priced. If a particular risk is given to a party that has no experience in dealing with the particular risk, then this party can price this risk so high that the entire transaction can become economically unattractive. It is therefore important to identify the risks properly and allocate to the proper party, and price the risk accordingly. Let us take the case of a person buying a car. The price that one has to pay for the car includes an explicit guarantee from the car company saying that the car company will be responsible should the buyer find anything defective with the automobile within a defined time frame. This is only logical because otherwise, the buyer will have to conduct a technical due diligence on the car and determine for himself its technical soundness. The car in this case may be cheaper, but the buyer runs the risk of making a mistake in the technical analysis of the car. There is no way for the buyer to know the condition of the car unless the buyer is an automotive engineer. On the other hand, the car company cannot be responsible for the buyer’s driving habits. If a part breaks down because of bad driving, then the buyer is responsible, not the car company. This is logical because there is no way for the car company to vet the driving habits of its buyers unless it does its own tests on its buyers. This is a very expensive process, not to mention, an impractical one. Thus, the car gets priced according to this risk allocation model of car buying – the car company is responsible for major breakdowns in case of normal wear and tear within a time frame, and the buyer is responsible for normal wear and tear. Some brands price their products because of implicit and explicit guarantees of superior engine performance and track record. Others are priced lower with the appropriate lower guarantees of engine performance. 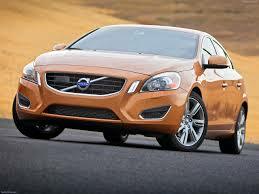 Buyers are then free to choose from European, American, Korean, Japanese, or recently Chinese automobile brands. Consumers choose according to their tastes and risk preferences. Some consumers choose to buy more expensive brands while others buy lesser known brands knowingly that the car may breakdown more often than the better-known ones. This transaction about a car is a practical application of the CAPM. After the risks have been properly allocated between the buyer and the car company, then consumers choose the car according to their own risk preferences. Those who want a cheap car take more performance risks than those who buy more expensive brands. This is what the CAPM says: When the asset is priced properly, then no car in the market will be bought because of its lower price than the equivalent risk. This means that if a four-cylinder Chinese brand car is priced at P100,000 and a similar engine displacement BMW car is priced at P100,000 also, then the demand for the BMW can go up so high and the car’s price will reach a level at which the demand will be satisfied. Let us say this price reaches P1,000,000. So, two similar cars are priced vastly different – one is P100,000 and the other P1,000,000. Conventional wisdom will tell us that a P1,000,000 car is more expensive than a P100,000 one. Really? Having gone through the arguments of the CAPM and the risk allocation for the car transaction can you really say that one is “more expensive”than the other? Setting aside the issue of affordability, the choice is really down to personal preferences. I may prefer the cheaper car even if I can afford the more expensive one because since I do not travel often, I do not expect the car to breakdown often. On the other hand, I may prefer the more expensive one because I need to know my children are safe when I drive cross country with them. In reality, there are no “expensive”or “cheap”assets since the asset is properly priced. Such assets appear in the market occasionally. But if, in theory, the market is efficient, then consumers will see this as a bargain and the demand for the asset will drive this price up to its appropriate level. As we always say, we get what we pay for. In the case of hiring people, if you pay peanuts, then you get monkeys. This leads me to a brief discussion on how this concept has an impact on government procurement. Again, conventional wisdom tells us that the government should always buy the “cheapest”product. We hear of “overpricing”scandals almost everyday. Having gone through the arguments of the CAPM, risk allocation and consumer preference; can we really say a product should be bought because it is “cheaper”than the other one? If you were buying the car for yourself, which one will you choose? Why should the government decide any different? For a small difference in price I can get a car that has a better safety record, a risk factor that is important to me as a father of a family. Why shouldn’t the government care about its employees in the same way? More importantly, from a finance perspective, the government will actually lose more value by choosing the “cheaper car”. The catch in this example is that most likely one or the other is wrongly priced. Assuming this is the case, the government will stand to gain more value from lower risk by buying the slightly more expensive car. Clearly, this is an arbitrage situation. Unfortunately, the person making that decision i.e. buying the more “expensive”car can go to jail. 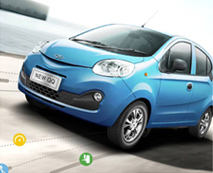 Government regulations will force the agency to choose the Chery over the Volvo. The government in that case lost value, but the agency head can retire with full pension and a clean record. Clearly, the CAPM and risk allocation concepts can get lost in government, especially in a democratic government, particularly the Philippine government. Before we get lost in this discussion, however, let me introduce one more important concept in Finance: portfolio theory. How all these concepts are intertwined and become important in the power sector will be seen soon enough.